Owned by descendants of founder Andreas Stihl, STIHL (Andreas Stihl AG & Company KG), is a German manufacturer of power equipment. From chainsaws and trimmers through to blowers and everything in between, their range is expansive. STIHL was first founded in 1926 by Andreas Stihl, an innovative man involved in early chainsaw production. He built the first electric powered chainsaw, one which weighed 64kg. The company boomed from there. From small beginnings, STIHL is now the most popular name in chainsaws, and is the number one seller of chainsaws worldwide. The company prides itself on not only producing chainsaws, but its own guide bars and chains as well. Being able to appeal to a wide audience puts them in a great position on the market. They cover a huge market share because of it. If they don’t have it, it’s not worth having! It can cut into a wide variety of concrete products. It has a low emission exhaust system. It has advanced water controls to give the user all the power. It has a diamond abrasive chain perfect for cutting through serious concrete. Replacement parts are very expensive. The chain itself is quite expensive to buy. STIHL gas powered concrete cutting chainsaw. 16 inch bar and diamond chain. 3 month commercial use warranty. Warranty: 3 months for commercial use. QWhat is it suitable for cutting through? AConcrete, reinforced concrete with ½ inch rebar, bricks, asphalt, soft stone and cinder blocks. QDoes it come with the diamond chain? QIs this for homeowners or professionals? AProfessionals, it’s a commercial grade chainsaw. Targeted towards professionals, this commercial grade concrete cutting chainsaw is packed full of power for ultimate cutting power. From soft stone through to bricks, asphalt, reinforced concrete and more; it cuts through hard concrete like a knife through butter. It also offers many good safety features to see you through cutting duties safely. Parts and the initial purchase are expensive, however you get what you pay for – a whole lot of quality! You can often get the best deal in physical stores when purchasing this saw. Dealers will be able to ensure you are purchasing the right chains and accessories to go with it. Check out what other people who purchased this product think about it. Read STIHL GS 461 Rock Boss concrete cutting gas chainsaw reviews. It has the STIHL M-Tronic™ intelligent engine management system which notices changes in environment and adapts to it. It’s a high quality arborist chainsaw. For the cost, you get a lot of high end features. The older model kill switch was easier to use. STIHL gas powered climbing chainsaw. 12 or 16 inch bar and chain. Bar Length: 12 or 16 inches. Warranty: 3 month commercial warranty. AProfessionals, it’s an arborist saw. QHow much gas can it hold? Professional arborists will just love what STIHL has produced just for them. Packed full of features designed to making an arborist’s life easier, it’s well worth the investment. It features the M-Tronic – Intelligent Engine Management system, as well as an automatic oiler, top handle, quick stop and lubrication system, just to name a few. 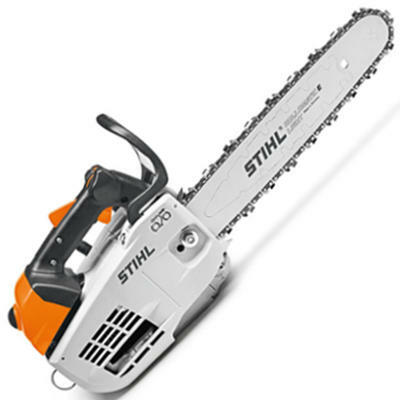 Many of this chainsaw’s features are also exclusive to STIHL. This arborist saw packs a real punch in terms of power and is undoubtedly one of the best STIHL chainsaws for the money. Check out what other people who purchased this product think about it. Read STIHL MS 201 T C-M gas chainsaw reviews. It’s easy to start with Easy2Start™ technology. It has a top handle which makes the saw easier to handle and maneuver. It has reduced exhaust emission in comparison to other models and brands of similar specs. The chains aren’t very affordable and have a short lifespan. The maintenance takes a lot of time. Aside from the extensive maintenance this arborist saw requires, it’s a hardy, powerful saw that will become an arborist’s best friend. Although the initial purchase of the saw is expensive, ongoing costs are certainly affordable. Many buyers have positioned this chainsaw on the higher end of the quality scale and believe it’s reliable due to its extensive list of features. This means this saw is one of the best STIHL chainsaws for the money. Check out what other people who purchased this product think about it. Read STIHL MS 150 T C-E gas chainsaw reviews. It’s affordable on the market. All its features are aimed towards professional arborists. It appears to be underpowered for some tasks. QWhat engine power does it have? QWho is it aimed at? Not only is this chainsaw affordable, but it’s also powerful, lightweight, and has features that are targeted towards arborists. Making life easier for professionals, it’s a durable, reliable chainsaw with a top handle and top quality features exclusive to STIHL. However, it does has its flaws as it can also be hard to maintain and can be underpowered for larger jobs needing to be completed by arborists. Check out what other people who purchased this product think about it. 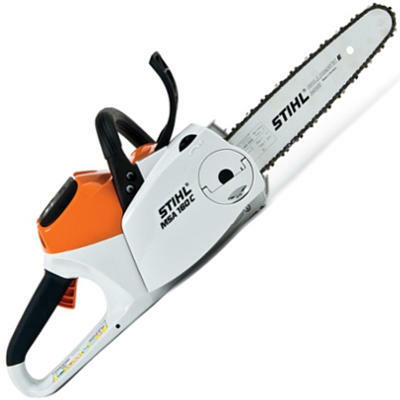 Read STIHL MS 193 T gas chainsaw reviews. It’s a powerful electric chainsaw which offers more power than some other brands in comparison. It’s a commercial grade professional electric saw which is a rarity on the market. Some users say it lacks power. It’s not easy to handle. It needs to have a power source in order to work. 16 to 20 inch bar and chain. Bar Length: 16 to 20 inches. QWhat power source does it require? QWho is it targeted towards? Whether you’re a homeowner or a professional, you are sure to find this STIHL electric chainsaw extremely reliable. It’s hardy, lightweight, requires no maintenance and is packed full of features to make the cutting experience a good one. It’s limited in its use by needing to be near a power source but this can easily be counteracted by the use of a generator or extension cord. Check out what other people who purchased this product think about it. Read STIHL MSE 250 C-Q corded electric chainsaw reviews. It’s only suitable for light domestic cutting. It needs to be connected to a power source. 12 to 16 inch bar and chain. Bar Length: 12 to 16 inch bar and chain. QWhat kind of bar and chain system does it have? Don’t settle for less than the best when you can have one of the most top rated electric chainsaws on the market. Available for sale in store and online, this chainsaw is worth its weight in gold. It’s reliable, lightweight, requires minimal maintenance and yet still powers through firewood like it’s made of nothing. You can also benefit from the many exclusive STIHL features such as the STIHL ROLLOMATIC® chain and bar system. Check out what other people who purchased this product think about it. Read STIHL MSE 210 C-BQ corded electric chainsaw reviews. It has a quick chain adjuster which doesn’t require tools. It costs very little to purchase both the tool and replacement parts. It’s limited in its range of use because of needing to be near a power source. 12 to 16 inch chain and bar. Bar Length: 12 to 16 inches. QWhat is its motor output? 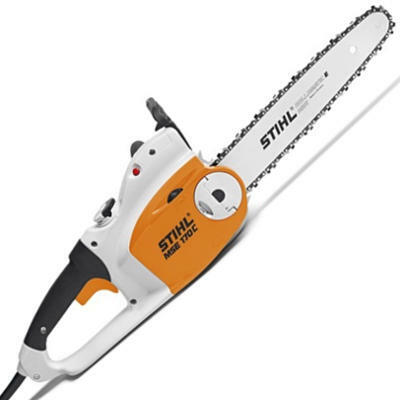 When you don’t want the hassle of dealing with gas powered chainsaws for small domestic cutting, you turn to this STIHL electric powered chainsaw. Packed full of features and offering huge amounts of power, it can undertake a range of cutting jobs with ease. It also has an easy chain tensioning system, quick stop features and reduced emissions. 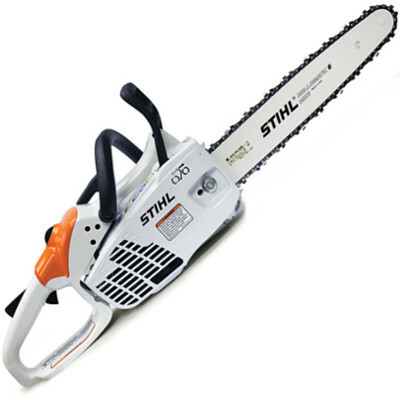 Throw away the gas can and get yourself one of these lightweight and agile STIHL electric powered chainsaws. Check out what other people who purchased this product think about it. Read STIHL MSE 170 C-BQ corded electric chainsaw reviews. It has quick chain adjustment. The chain oil feed can cause blockages. You can’t take it away from a power source unless you have spare batteries. 10 to 12 inch bar and chain. Bar Length: 10 to 12 inches. AUp to 100 cuts on 4 inch diameter wood. QWhat charger comes with it? Any homeowner will take delight in this easy-to-use, lightweight and reliable battery powered chainsaw. It requires little to no maintenance and can still take on a range of light domestic cutting duties. It’s also very quiet and has an easily adjustable chain. There are so many features packed into such a small chassis that it’s easily one of the best STIHL chainsaws for the money. Check out what other people who purchased this product think about it. Read STIHL MSA 120 C-BQ cordless electric chainsaw reviews. Its battery is interchangeable with other STIHL battery powered products. The battery and charger don’t come with the chainsaw. The chainsaw is expensive considering it doesn’t come with the battery and charger. 10 to 14 inch bar and chain. Bar Length: 10 to 14 inches. QWho is it suited towards? If you’ve already got a battery compatible with this chainsaw, it’s a good buy. However, if you were to purchase both this chainsaw and a new battery and charger, it doesn’t make it a very cost effective purchase. The saw is on the higher end of the market, and even though it’s powerful, it’s still only a battery powered chainsaw with a limited target market. It has exclusive STIHL features which put it in a league of its own, but it’s not quite worth the money. Check out what other people who purchased this product think about it. Read STIHL MSA 200 C-BQ cordless electric chainsaw reviews. It’s perfect for light maintenance. The chain is known to fall off regardless of the chain tensioning system. The battery and charger aren’t included and are expensive to buy. The battery power isn’t very good. Weight: Up to 10.6 pounds. QWho is it aimed towards? If you’ve ever woken up to the revving of a gas powered chainsaw at a neighboring property, you would know they are not quiet to operate. However, this battery powered chainsaw certainly is. It’s exceptionally quiet – even when using its full power to cut through logs. It’s also very lightweight, requires minimal maintenance and is packed full of safety features such as the chain brake. It’s not the most affordable chainsaw on the market, nor is it top rated, but it’s certainly powerful and reliable which can often be more important. Check out what other people who purchased this product think about it. Read STIHL MSA 160 C-BQ cordless electric chainsaw reviews. It has commercial grade power. It’s easier to start with its decompression valve. It has an anti-vibration system to help reduce user fatigue. It can seem underpowered in certain jobs. Some of the plastic components feel and work cheaply. 12 to 16 inch bar and diamond chain. As a spare to a professional, or the main saw for a landowner, this chainsaw fits the bill. What it lacks in power it makes up for in reliability and accuracy. It’s also packed full of STIHL exclusive features such as STIHL M-Tronic™ engine management technology. It is, however, a little over priced for the market it’s intended for. Check out what other people who purchased this product think about it. Read STIHL MS 241 C-M gas chainsaw reviews. It has a 23 percent increase in power in comparison to the MS 660 model. It’s a commercial grade professional saw with exceptional amounts of power. It can accept guide bars up to 59 inches in length. It’s relatively easy to maintain in comparison to other manufacturers, models and brands. It’s too big for general use and is more recommended as a commercial grade saw. It’s on the market at a high price. 17 to 59 inch bar and chain. Bar Length: 17 to 59 inches. 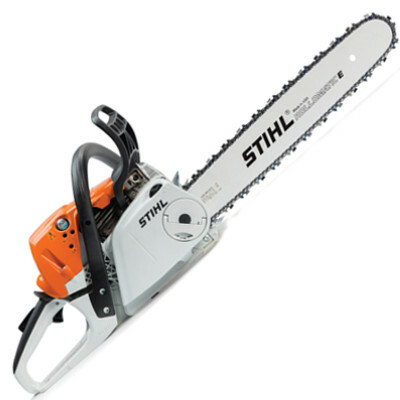 If you’re a professional in the forestry or landscaping industry, you are sure to fall in love with this commercial grade gas powered chainsaw. Boasting 23 percent more power than the previous MS 660 model, it’s definitely built to last. It’s reliable, tough, can work in hard conditions and is very easy to maintain. Overall for the money, this is one of the best STIHL chainsaws for the money. Check out what other people who purchased this product think about it. Read STIHL MS 880 MAGNUM gas chainsaw reviews. It has excellent fuel efficiency. It has an anti-vibration system for reduced user fatigue. It’s designed to put up with a lot of cutting. It has a weak bar oil flow. QHow much horsepower does it produce? Roaring to life and never wanting to stop, this reliable and hardy chainsaw is going to overtake the dog as man’s best friend. It’s full of grunt, works under pressure and then requires minimal maintenance at the end of a hard day. It’s priced very well on the market, and it’s suitable for chains and bars from 16 to 20 inches. It also produces very little emissions and is great on fuel consumption. Check out what other people who purchased this product think about it. Read STIHL MS 261 gas chainsaw reviews. 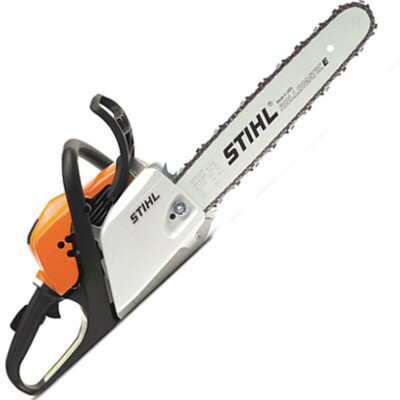 It has STIHL exclusive M-Tronic™ technology for altered performance in various conditions. It has great fuel efficiency. It’s slim in comparison to other models. The chain oiler doesn’t produce enough oil sometimes. It’s not that cost effective to purchase. QWhat horsepower does it produce? Although not the most cost effective chainsaw to purchase, it can almost be forgiven when you start it up for the first time. 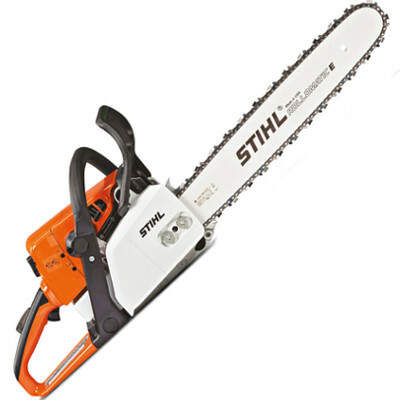 Raw power is on offer, as are top rated features exclusive to STIHL. The extra money spent on this chainsaw can also almost be made up for in the reduced fuel consumption and efficient bar oil use. It’s a well behaved saw that’s lean in the body, but beefy in the motor. It’s everything you could want in a saw, and that’s why it’s one of the best STIHL chainsaws for the money. Check out what other people who purchased this product think about it. Read STIHL MS 261 C-M gas chainsaw reviews. It’s packed full of STIHL exclusive features. Some people note that it’s unreliable. Bar Length: 16 to 20 inch bar and chain. It’s a product of the future but it’s in the here and now. That’s just one of the many things this powerful chainsaw has going for it. Packed full of features aimed at making your life as the user a lot easier, you are sure to fall in love instantly! It’s not the most affordable, but it’s certainly one of the most powerful. This counts for a lot in the chainsaw world. Top rated on the market for its power and technology, it’s easy to see why it’s one of the best STIHL chainsaws for the money. Check out what other people who purchased this product think about it. Read STIHL MS 261 C-MQ gas chainsaw reviews. It gives you maximum power in any working condition due to its STIHL M-Tronic™ engine management technology. It’s a good commercial grade saw for professional use. It has an anti-vibration system for reduction in user fatigue. It’s not comfortable to operate. 16 to 25 inch bar and chain. Weight: 13.2 pounds with wrap handle. Bar Length: 16 to 25 inches. This chainsaw is more suited to those who know how to accurately maintain and operate a large saw. It’s a little on the heavier side and does have a few maintenance issues which only someone who knows what they are doing should attempt to fix. Other than that, it’s a powerful saw which has the ability to take on a range of cutting duties. 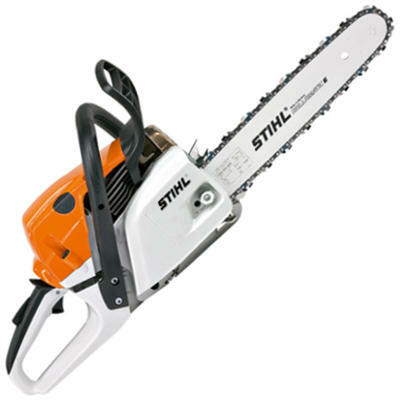 This is also due to the large range of STIHL features this chainsaw is packed with. Check out what other people who purchased this product think about it. Read STIHL MS 362 C-M gas chainsaw reviews. It has anti-vibration systems to reduce user fatigue. It has an adjustable automatic oiler whereas many models don’t allow it to be adjusted. Some parts don’t feel solid or well constructed. QWhat is this chainsaw suitable for? ALogging, thinning and large woodcutting jobs. QHow many horsepower does it produce? For the professional or homeowner, you will be impressed by all that’s on offer with this chainsaw. From the lower emissions to the features which make use a lot more convenient; STIHL has you covered. It’s also a relatively affordable saw and replacement parts don’t cost a lot either. Overall, it’s quite a powerful saw to get a range of logging, thinning and woodcutting jobs completed with ease. Check out what other people who purchased this product think about it. Read STIHL MS 362 R C-M gas chainsaw reviews. 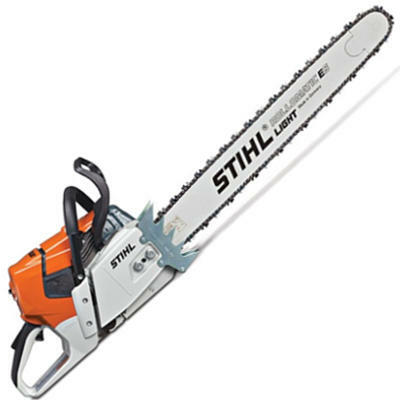 It’s more fuel efficient in comparison to other STIHL models of similar specs. It’s lightweight compared to the power output. Some users note it’s underpowered with a larger bar. It has a limited market as it’s more of a commercial grade saw. 16 to 32 inch bar and chain. Bar Length: 16 to 32 inches. AProfessional forestry tasks such as felling, limbing and bucking. For professional loggers looking to upgrade to something with a bit more meat on its bones, this chainsaw is the answer. Known to be 20 percent more efficient than the MS 460 Magnum, you will spend less time refueling and more time cutting. It also has as much power as the Magnum and handles like a dream. So when you’re in the market for an affordable and technologically advanced chainsaw – consider the MS 461. Check out what other people who purchased this product think about it. 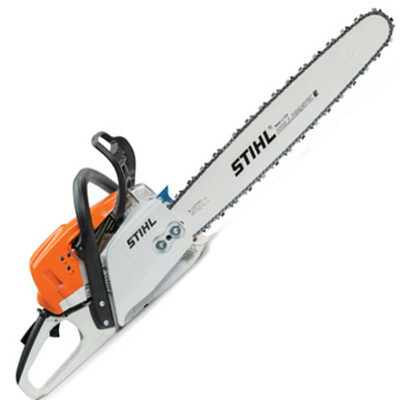 Read STIHL MS 461 gas chainsaw reviews. It has a comfortable wrap around handle. It can be quite hard to maintain. Bar Length: 16 to 32 inch bar. QWhat benefits does the wrap handle have? AThe saw can be used in many different positions for felling or limbing. For the professional or homeowner, you won’t go wrong with this powerhouse. 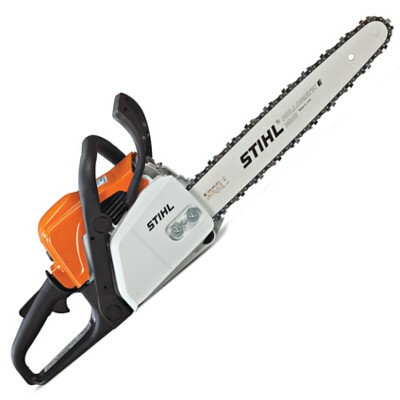 STIHL are onto a winner with this model, and it’s clear to see it packs a real punch in terms of power and features. It’s reliable, runs like a dream and will cut wood like a knife through butter. It is on the heavy side and is a little hard to maintain, so it’s more suited to those with experience handling chainsaws. Check out what other people who purchased this product think about it. Read STIHL MS 461 R gas chainsaw reviews. 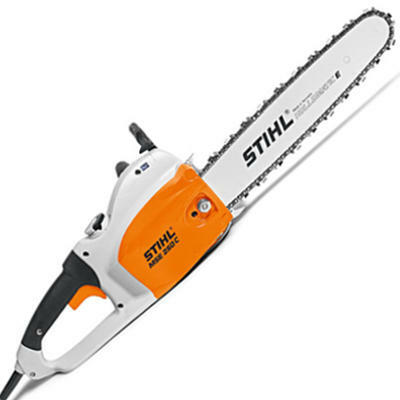 It has the highly effective STIHL M-Tronic™ engine management technology system. It’s a very powerful saw for professionals. It’s top rated for its fuel efficiency and low emissions. It’s very easy to start with its ElastoStart™ handle. QWho is this saw targeted towards? AProfessionals who handle large scale felling. There are very few reliable professional chainsaws on the market, and this is one of them. 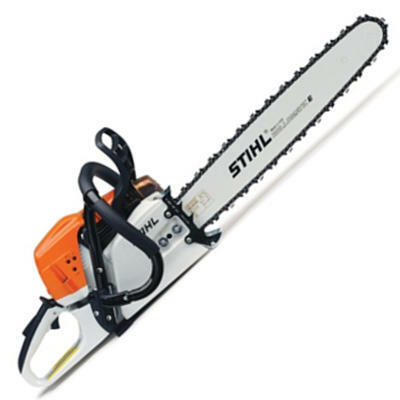 When you require a saw that just keeps felling trees like they weigh nothing, this STIHL chainsaw will see you through. It’s exceptionally powerful, is packed full of features and is easy to start every time. It’s not a saw for the faint hearted however, as it’s heavy and powerful and needs a firm hand. But for professionals who are looking for a tough machine that’s going to do what it says, this is it. For that reason it’s one of the best STIHL chainsaws for the money. Check out what other people who purchased this product think about it. Read STIHL MS 661 C-M gas chainsaw reviews. You can purchase lightweight guide bars for it which greatly reduce the saw’s weight. It has an anti-vibration system which helps reduce user fatigue. It has an automatic adjustable oiler. It’s not a saw that’s easy to fix at home. AProfessionals with large scale felling to undertake. Aimed at professionals, this chainsaw is sure to become man’s best friend in no time. From the fuel efficiency which saves you time and money, to the lightweight option for guide bars and endless technical features; what more could you ask for? The power unleashed by this chainsaw upon startup is incredible. It’s certainly top rated on the market for this reason. Check out what other people who purchased this product think about it. Read STIHL MS 661 R C-M gas chainsaw reviews. Many users believe it could work a lot better with a bigger bar. 16 to 20 inch bar. AFarm and lifestyle block owners. For the farmer with no time for unreliable machinery, this STIHL chainsaw takes the cake. It’s hardy, powerful, undertakes a range of felling and cutting jobs with ease, and is fuel efficient to top it all off. 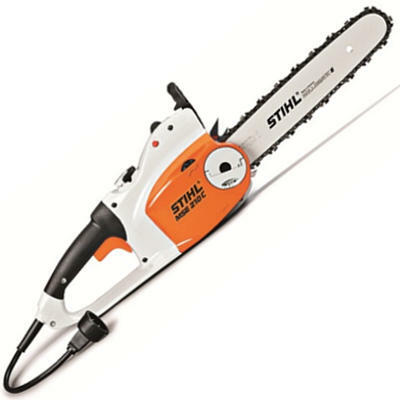 It’s also packed full of features, is more lightweight in comparison to previous STIHL models, and is relatively easy to maintain. Because of the variety of work it can undertake, it’s also a preferred option by many farm and lifestyle block owners. Check out what other people who purchased this product think about it. 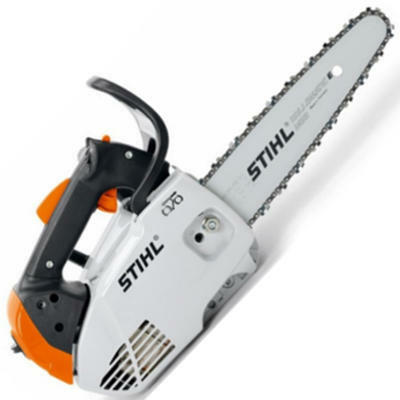 Read STIHL MS 391 gas chainsaw reviews. 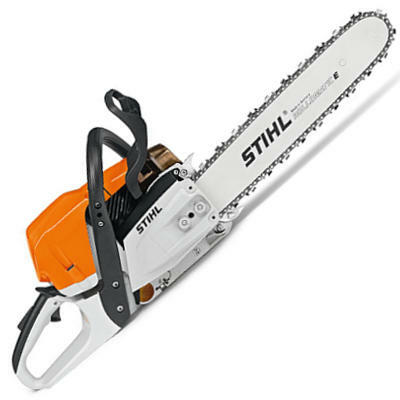 It’s one of the lightest gas powered chainsaws on the market. It doesn’t have a very big fuel tank. Carrying around a heavy chainsaw all day can take its toll. STIHL understood this and that’s why they released the MS 150 C-E model. It’s one of the most lightweight gas powered chainsaws at just 6.1 pounds. Due to its weight, users will note increased strength in being able to undertake cutting tasks they couldn’t previously do with a heavier saw. It also features great safety features and easy start mechanisms to make your life as a chainsaw user that much easier. 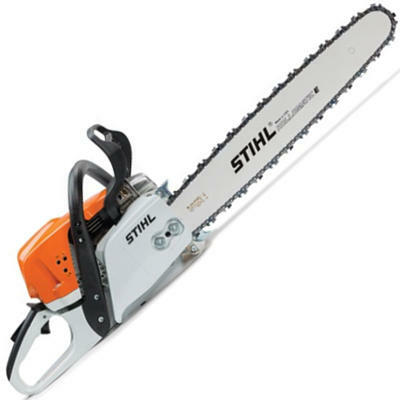 That is why it’s considered one of the best STIHL chainsaws for the money. Check out what other people who purchased this product think about it. Read STIHL MS 150 C-E gas chainsaw reviews. It has easy-start features to get you cutting sooner. It’s suitable for a range of small to large tasks. Some of the component feel and look cheap. QWho is it suited for? AAnyone from the homeowner to the farmer. Don’t let the small bar and lightweight body fool you – this chainsaw packs a real punch. Whether you’re a homeowner with a wood pile to arrange, or a ranch owner with storm felled trees to remove – it can do it all. Its flexibility, light frame and ease of use are just three of the many reasons why this chainsaw is in a league of its own. Users also note they do not tire as quickly as they do with a larger saw. Check out what other people who purchased this product think about it. 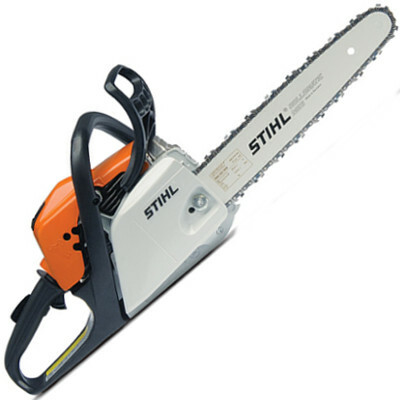 Read STIHL MS 193 C-E gas chainsaw reviews. It suits a wide range of people. 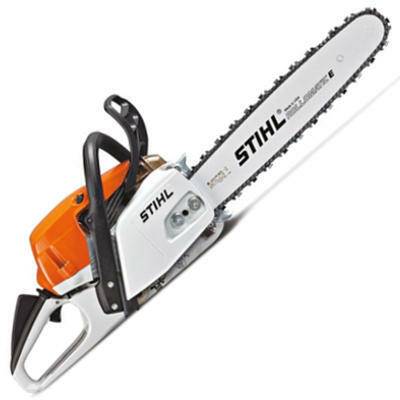 It has a STIHL M-Tronic™ intelligent engine management system. It’s very expensive to purchase. It can be difficult to maintain due to the placement of some parts. AThe majority of people in need of a durable, reliable chainsaw for small to large cutting jobs. This lightweight, durable and reliable chainsaw is one every farm or lifestyle block owner should have in their tool shed. Not only is it lightweight for ease of carrying around the property, but it’s also very powerful to cut up storm felled trees and to get that winter wood pile sorted. It’s packed full of features to make life a bit easier. However, on the maintenance side of things it can take up a bit of time. This chainsaw is best suited to someone with a bit of knowledge and expertise on best maintenance practices. Check out what other people who purchased this product think about it. Read STIHL MS 201 C-EM gas chainsaw reviews. It has a 20 percent longer run time between refuelling. In comparison to the MS 270, exhaust emissions are reduced by 50 percent. The air filter lasts up to five times longer due to the pre-separation air filtration system. It’s a very durable, heavy duty chainsaw, aptly named ‘Farm Boss’. It’s hard to start from cold. QWhat is it best suited for? If this chainsaw was a person, it would most likely be ‘The Hulk’. Aptly named the Farm Boss, this heavy duty, powerful – almost monstrous – chainsaw fits the bill as the chainsaw that keeps on giving. It’s suitable for those who have extensive cutting to undertake, and it will do it no problem at all. Just remember to maintain it well because it can be difficult to start from cold when it hasn’t been properly cared for. Check out what other people who purchased this product think about it. Read STIHL MS 271 FARM BOSS gas chainsaw reviews. It has a pre-separation air filtration system to make the air filter last up to five times longer. The anti-vibration system helps reduce user fatigue. The oiler system isn’t very good. AAnyone needing to fell trees, cut firewood or clear storm debris. Aside from being difficult on the odd occasion to start – and particularly heavy – this chainsaw represents good bang for your buck. It’s reliable, it’s powerful and it also has several features aimed at helping the user out. This includes its anti-vibration system, automatic oiler and pre-separation air filtration system. For the cost, it doesn’t mean it’s the best deal, but it certainly is top rated on the market for a range of other reasons. Check out what other people who purchased this product think about it. 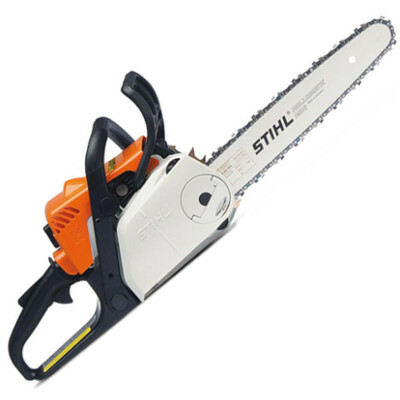 Read STIHL MS 291 gas chainsaw reviews. It has increased fuel economy in comparison to previous STIHL models. It has larger fuel and oil tanks for longer use without stopping. ALifestyle and ranch owners in need of heavy duty cutting power. It’s built to last and last it will! This STIHL gas powered chainsaw has everything an operator needs to tackle those big trees head on. It boasts 4.2 HP, runs efficient on petrol, and even has a large 20.3 oz fuel tank to allow you more time cutting and less time refuelling. It is a little on the heavy side but if you need to cut down large trees, this is the tool to do it with. Check out what other people who purchased this product think about it. 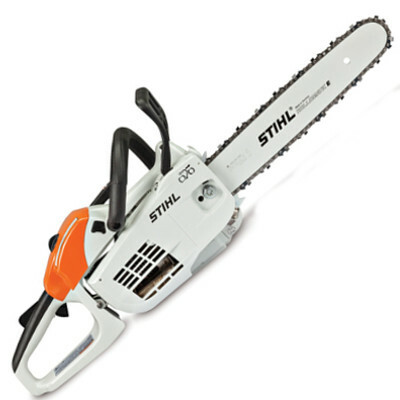 Read STIHL MS 311 gas chainsaw reviews. It has up to 50 percent reduced emissions. It’s easy and comfortable to operate. It can be difficult to start – especially from cold. Some users find it’s very difficult to maintain. 16 to 18 inch bar and chain. Bar Length: 16 to 18 inches. AFelling small trees, thinning, cutting firewood and pruning. Aptly named the Wood Boss, this STIHL petrol powered chainsaw can undertake home maintenance with ease and accuracy. It’s packed full of features to enable the user to get jobs done quickly – all the while being easy and comfortable to handle. Not the most powerful of the range, it still has a reasonable amount of power to undertake cutting jobs for standard homes and lifestyle blocks. Check out what other people who purchased this product think about it. Read STIHL MS 251 WOOD BOSS gas chainsaw reviews. Its auto-oiling system is very efficient. It has a small gas tank. ATrimming or cutting small trees – it’s more of a homeowner’s saw. Homeowners are constantly on the lookout for a reliable chainsaw to undertake simple, light home maintenance. Whether you’re in need of a trimmer, or something to cut small trees, this STIHL gas powered chainsaw is the answer. It’s lightweight, easy to handle and it’s very compact. What it lacks in horsepower it makes up for in durability. It also has relatively large bar and chain options to give the user flexibility. Check out what other people who purchased this product think about it. 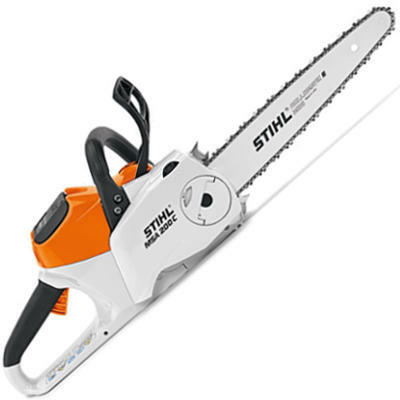 Read STIHL MS 170 gas chainsaw reviews. Its fuel filter lasts up to five times longer thanks to advanced STIHL technology. Some users note it’s slightly underpowered with the 16 inch bar and chain. It takes a while to warm up and starts poorly from cold. ALight maintenance such as trimming, pruning and small cuts. 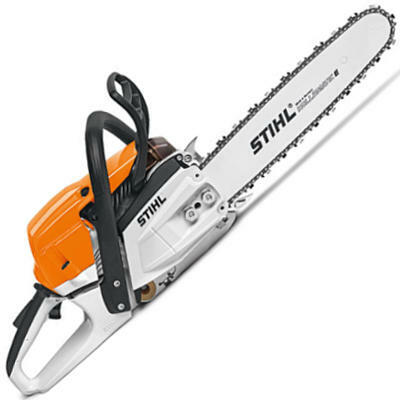 This is one of the best STIHL chainsaws for the money. Why? It’s powerful, it’s reliable and it’s durable – those are three things any chainsaw owner requires. It can be difficult to start, but once it’s going, it cuts like a dream. It also uses less fuel in comparison to older models, and has longer lasting parts with better functionality. Check out what other people who purchased this product think about it. 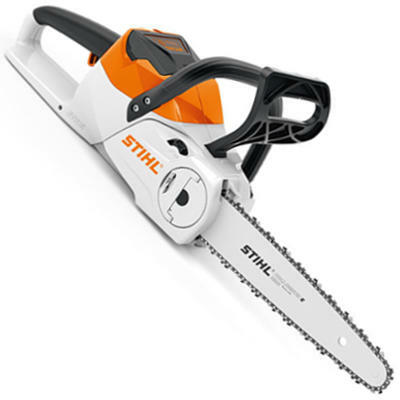 Read STIHL MS 171 gas chainsaw reviews. It has enhanced engine cooling and air filtration systems. The plastic parts seem weak and cheap. Maintenance can be a lot of work. AOccasional use for duties like trimming branches, clearing fallen limbs and cutting down small trees. If you’re after a saw you can pull from the tool shed and have it work flawlessly, this gas powered saw is the one for you. When well maintained, it runs like a dream and can cut up any number of small trees. It can also undertake most trimming and pruning duties with ease. It’s by no means a commercial grade or professional saw, but for the homeowner who may only require it from time to time, it’s the best tool for the job. Check out what other people who purchased this product think about it. 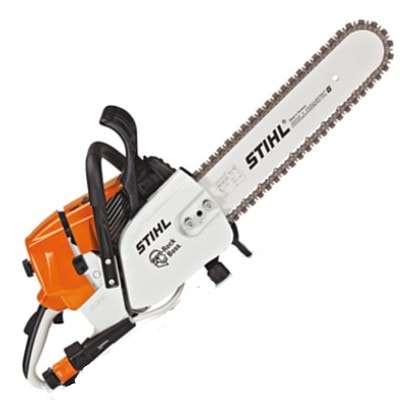 Read STIHL MS 180 gas chainsaw reviews. It has a STIHL Easy2Start™ system. It has a quick chain adjuster which is very convenient.. It meets a variety of users’ requirements. It can be difficult to start from cold – even with the STIHL Easy2Start™ system. It doesn’t idle very well and would rather turn off. AIt’s suitable for homeowners who need to do light trimming, pruning and small amounts of cutting – not on a regular basis. Users of this chainsaw have been kind when referring to its positives, but not kind enough to not point out a few of this chainsaw’s flaws. Although it’s powerful for the duties it’s intended for, it lacks reliability. It can be difficult to start – and keep going – and it’s difficult to maintain. Many users note they spent more time trying to get it to work than actually using it. For a homeowner’s saw designed for occasional use, it’s probably not the best on the market, especially not for the cost of it. Check out what other people who purchased this product think about it. Read STIHL MS 180 C-BE gas chainsaw reviews. It has the STIHL Easy2Start™ system. It has a quick chain adjuster to cut down on maintenance time. The air filter lasts up to five times longer with the pre-separation air filtration system. It’s made of quality parts which last the test of time. It’s quite heavy for a homeowner’s occasional saw. It’s underpowered on the 16 inch bar. Bar Length: 12 to 16 inch. ALight trimming, pruning, clearing storm fallen trees and small tree cutting. A step up from the MS 180 model, this chainsaw is known to be a bit more reliable than its counterpart. It runs well, cuts well, and has excellent forms of technology which enhance the user experience. This includes a quick start system and better air filtration. 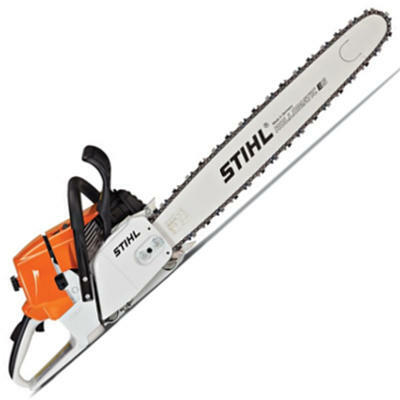 Overall, it’s easily one of the best STIHL chainsaws for the money, especially for homeowners. Check out what other people who purchased this product think about it. Read STIHL MS 181 C-BE gas chainsaw reviews. The pre-separation air filtration system allows the air filter to last up to five times longer to save you money. It has an anti-vibration handle for a more comfortable and stable user experience. It has limited fuel capacity. It’s known by many to leak oil. 12 to 18 inch bar and chain. Bar Length: 12 to 18 inches. Many manufacturers don’t put as much effort into an occasional use saw as they do a commercial grade one. After all, it will be used less frequently and doesn’t require much technology. However, STIHL put just as much effort into their lower end saws as they do the higher end ones. They have packed a huge amount of power and technology into this homeowner saw to enable the best experience possible. This includes features to help it start, run, and maintain itself a whole lot better. 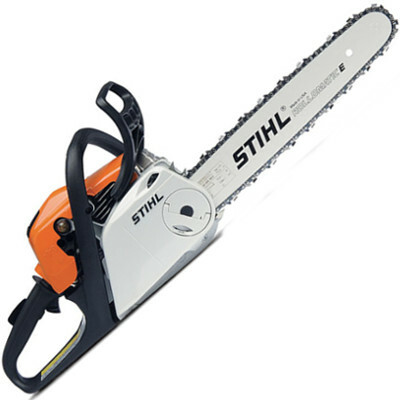 For the cost, it’s certainly one of the best STIHL chainsaws for the money. Check out what other people who purchased this product think about it. 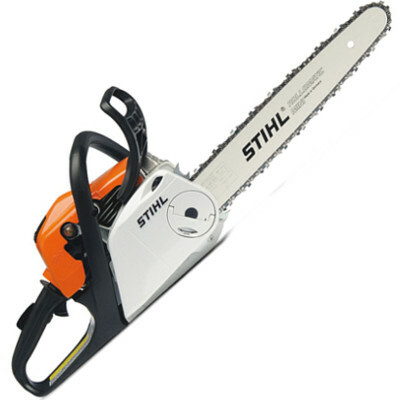 Read STIHL MS 211 gas chainsaw reviews. It has a quick chain adjuster to cut down your maintenance time. It’s durable with well-made parts. It’s underpowered with the larger 18 inch bar and chain. ALifestyle block and homeowners with minimal cutting, trimming and pruning duties. 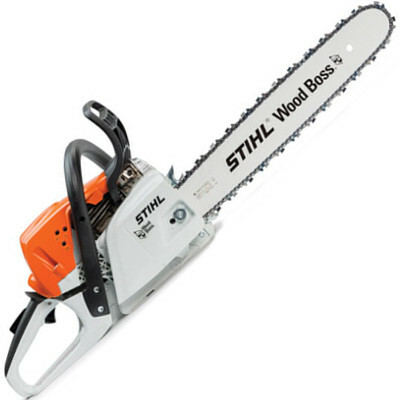 This chainsaw is comfortable, durable, easy to use and is the perfect addition to any homeowner’s tool shed. It undertakes a range of different cutting jobs and can do so with relative ease. Its only real downfall is the power when using the larger 18 inch chain. It does feel underpowered to many users, so they prefer to use the smaller 12 or 16 inch chains. Overall though, it’s a lightweight, compact chainsaw with plenty of power to give! Check out what other people who purchased this product think about it. Read STIHL MS 211 C-BE gas chainsaw reviews. It has a winter/summer shutter to allow optimum performance year-round. It has anti-vibration features to prevent user fatigue. It’s suitable for a range of operators. It can be easy to flood. It can be hard to start from cold. AA range of cutting tasks of small-medium sizing. It’s suitable for homeowners and lifestyle block owners. It can be difficult to find a powerful chainsaw with a large bar and chain that still doesn’t weigh a lot. This STIHL chainsaw is a rarity! It’s very lightweight, has a lot of power, and can undertake a variety of cutting tasks with ease. It’s also very nimble, can be used in cold or hot weather, and has 3 horsepower to see it to the finish line. Overall, for the cost of the saw it fits into the market very nicely. Check out what other people who purchased this product think about it. 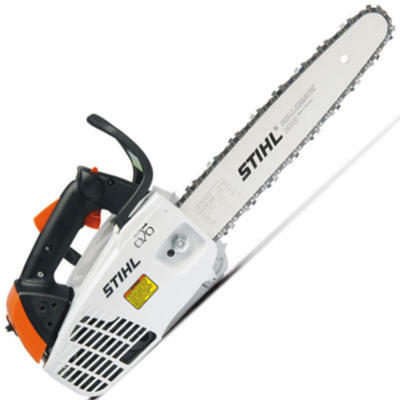 Read STIHL MS 250 gas chainsaw reviews. It has reduced emissions in comparison to other models and brands. It has a lot of technology to make use easier. It’s not comfortable to use. AIt can fell small trees, and is suitable for thinning, cutting firewood and pruning small trees. It’s not the most comfortable, or the easiest machine to start, but it sure does have the most technology. There has been so much thought put into this model to ensure it runs at its best for the consumer. From anti-vibration through to lower emissions, easy-start features and more – it’s a saw with a lot to offer the lifestyle block or home owner. Check out what other people who purchased this product think about it. Read STIHL MS 251 C-BE gas chainsaw reviews. It can be used for daily transport and for storage when the working day is done. It can even hold extra chains, oils, tools and lubes in the removable scabbard to undertake maintenance away from home. This carry case is built to fit MS 170 models through to MS 460 models with 20 inch bars. If you are looking specifically for STIHL case, check out this comprehensive guide about available STIHL chainsaw cases. However, if you’re looking for a case in general regardless of the brand, you would love to read this full buying guide on how to select the best chainsaw case for the money including reviews & comparison. STIHL understands that one size doesn’t fit all when it comes to protective clothing. What may suit some users of chainsaws doesn’t suit others. If you are looking specifically for STIHL chaps, check out this comprehensive guide about available STIHL chainsaw chaps. However, if you’re looking for chaps in general regardless of the brand, you would love to read this full buying guide on how to select the best chainsaw chaps for the money including reviews & comparison. Using a chainsaw for a long period of time outdoors can wreak havoc on your skin and hands. Muck, grease, grime, oils and natural materials can make their way into your pores leaving them chapped, sore and dirty. Thankfully STIHL understand this is a big problem, and have catered to every kind of issue out in the field your hands face! This doesn’t just include dirt and oils, it can also include problems with lack of grip on the chainsaw’s handle, too much vibration from the chainsaw and general protection from wood, bark and nature! They also offer natural skin gloves or synthetic – the choice is yours! There are so many pairs of gloves to choose from, the hardest part will be choosing just one! If you are looking specifically for STIHL gloves, check out this comprehensive guide about available STIHL chainsaw gloves. However, if you’re looking for gloves in general regardless of the brand, you would love to read this full buying guide on how to select the best chainsaw gloves for the money including reviews & comparison. All STIHL helmets are also designed to give proper fit and protection by using only high-tech polymers and quality parts. If you are looking specifically for STIHL helmet, check out this comprehensive guide about available STIHL chainsaw helmets. However, if you’re looking for a helmet in general regardless of the brand, you would love to read this full buying guide on how to select the best chainsaw helmet for the money including reviews & comparison. If you are looking specifically for STIHL boots, check out this comprehensive guide about available STIHL chainsaw boots. However, if you’re looking for boots in general regardless of the brand, you would love to read this full buying guide on how to select the best chainsaw boots for the money including reviews & comparison. The difference between a good cut and a bad one is surely how sharp your chain is. STIHL offer a range of sharpening products to ensure all chains are cared for properly. This includes round files, flat files, file gauges, 2-in-1 sharpening tools and even handles to hold files. Chains should be sharpened – or at least checked – after each job is completed. Not only are the sharpeners cost effective, but STIHL chainsaw sharpeners even come clearly labelled to ensure you get the right one for your chain. The best deal can be found online in the form of a STIHL chain sharpening kit. This includes a round file, flat file, a file gauge and a holder, all in a convenient carry case. This can be taken with you out in the field with ease. Once your chain has been sharpened down to 4mm, you will also need a replacement chain. If you are looking specifically for STIHL sharpener, check out this comprehensive guide about available STIHL chainsaw sharpeners. However, if you’re looking for a sharpener in general regardless of the brand, you would love to read this full buying guide on how to select the best chainsaw sharpener for the money including reviews & comparison. One of the most important components on your chainsaw is its guide bar. Therefore you should always purchase the highest quality guide bar for your machine. STIHL is proud to offer such a bar. Guide bars produced by STIHL have been heat treated to give high wear resistance. This process works by hardening the rails whilst still allowing the bar to be flexible. They are also symmetrical which enables the user to flip the bar and spread out its wear. All guide bars are made from wear-resistant steel which features a bar lubrication system. STIHL has one of the largest ranges of guide bars – from 10 inches through to commercial grade 59 inches. 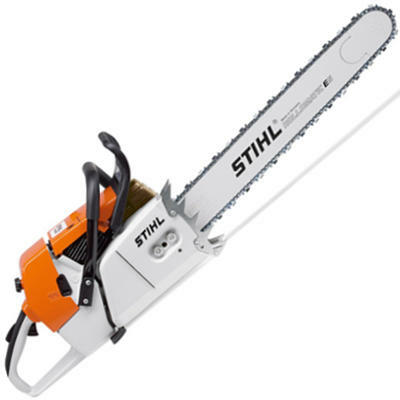 If you are looking specifically for STIHL bar, check out this comprehensive guide about available STIHL chainsaw bars. However, if you’re looking for a bar in general regardless of the brand, you would love to read this full buying guide on how to select the best chainsaw bar for the money including reviews & comparison. It’s important that all chainsaw users consider purchasing the very best chainsaw chain they can find. After all, a good quality chainsaw is the difference between a tree cut down and one that isn’t. STIHL chains are all individually designed for various kinds of wood cutting duties and are lubricated with the STIHL Oilomatic to work well together with the guide bar and engine. The STIHL Oilomatic chains feature grooves to help channel oil to high wear areas. This helps extend the life of the chain and reduce chain stretching. All features on STIHL chains are designed in such a way to help you get the most out of your chain. If you are looking specifically for STIHL chain, check out this comprehensive guide about available STIHL chainsaw chains. However, if you’re looking for a chain in general regardless of the brand, you would love to read this full buying guide on how to select the best chainsaw chain for the money including reviews & comparison. Andreas Stihl AG & Company KG, a German manufacturer. In China under German management. 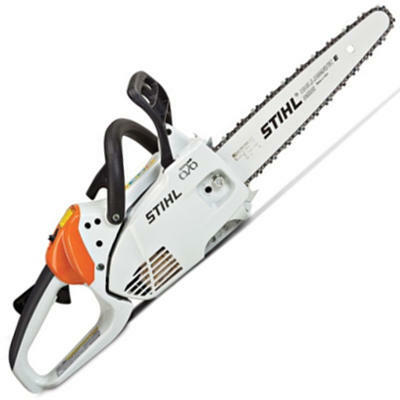 Where do you buy STIHL chainsaws? STIHL is such a large brand that it’s found all over the world. It can be purchased online on websites such as Amazon, or in thousands of leading retailers and hardware stores worldwide.